Our Foundations Course is like a mini yoga retreat. You’ll be paying less per hour than you would for a drop-in yoga class but learning so much more! This is also a great course to do if you are thinking of perhaps doing a 200hr Yoga Teacher Training course but you are unsure whether you want to invest so much time and money. 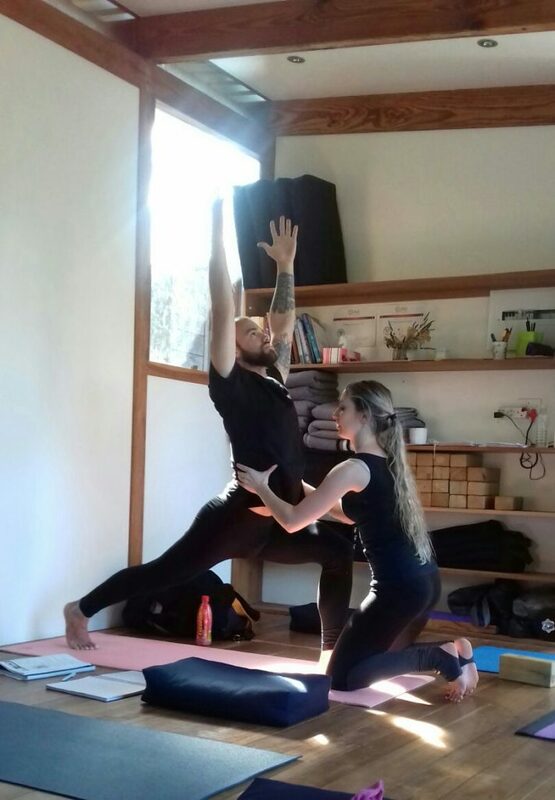 In fact, if you do the Foundation Yoga Course and then decide to go ahead and do the 200 hr Wellness Connection Yoga Course we will deduct the cost of the Foundation Course off your total fee. You will receive a certification of completion from the Wellness Connection Yoga School. My love for Yoga started after 12 years of being a Classical Ballet dancer. After many injuries in the dancing world I turned to Yoga and Pilates and it was life changing! I’m a Comprehensive Pilates teacher, Aerial Yoga instructor and Teacher Trainer, RTY500 Yoga teacher and Yoga Teacher Trainer on the Wellness Connection 200hr Yoga Teacher Training coruses. I’m passionate about teaching people about their bodies and how to move safely. My classes are a balance of both strength and flexibility but most of all to have fun while doing it! I’m an Anatomy enthusiast and I’ve worked on several Yoga Teacher Training courses. My biggest love is to present a deeper understanding of Yoga postures, Anatomy and the joy of Yoga to inspiring teachers.